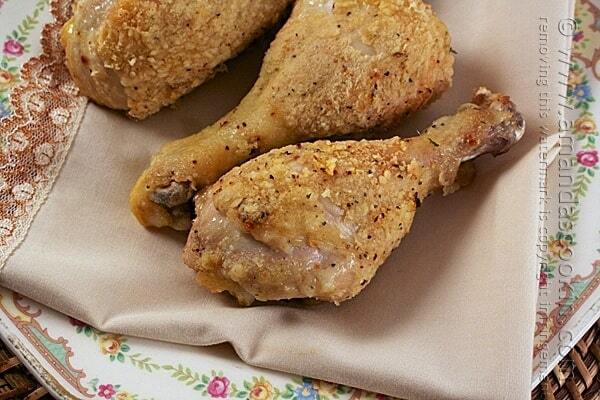 If you’re trying to eat less fried food and save some money too, oven fried chicken legs are a great meal solution. 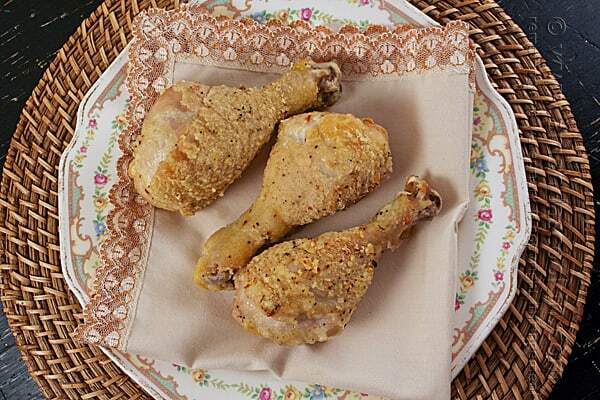 You can often find chicken drumsticks on sale and making your own coating from flour and seasonings is easy to do. 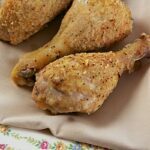 This recipe calls for brining the chicken legs, which adds flavor and in my opinion, makes the meat juicier. Brining is easy, it just takes a little forethought. I always brine my Thanksgiving turkey each year, and ever since I learned how to do it, I try to brine my chicken as well. Don’t be intimidated if you’ve never tried it. It’s really easy, and a basic brine needs nothing more than water, brown sugar and kosher salt, like the one I used for these chicken legs. If you want to try the brine mixture I use at Thanksgiving, you can find that here. Combine brine ingredients in a large stock pot and add the chicken. Place in refrigerator for 2 hours. Preheat oven to 400 degrees F. Place a wire rack over a baking sheet. Mix flour with dry Italian dressing and place into a shallow dish. 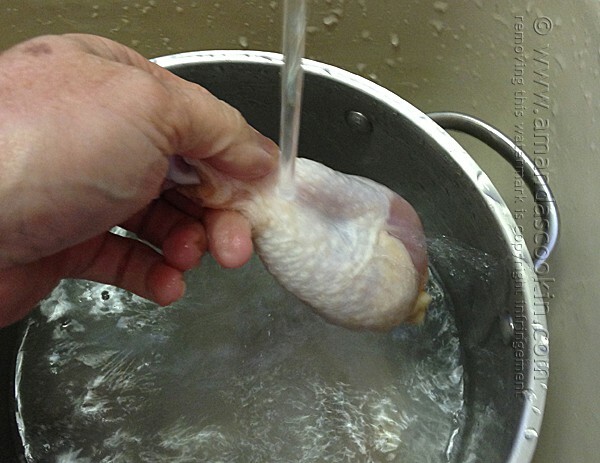 Remove drumsticks from brine and rinse well. 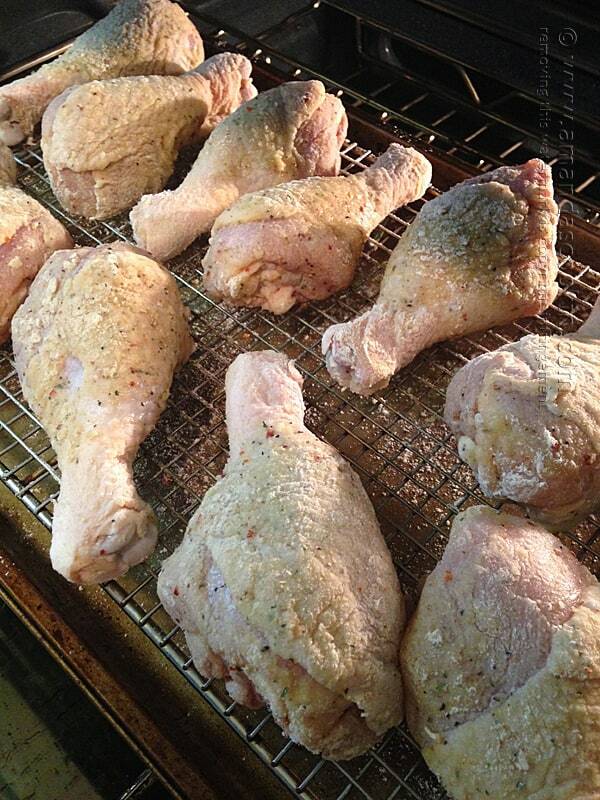 Dry the drumsticks with paper towels. 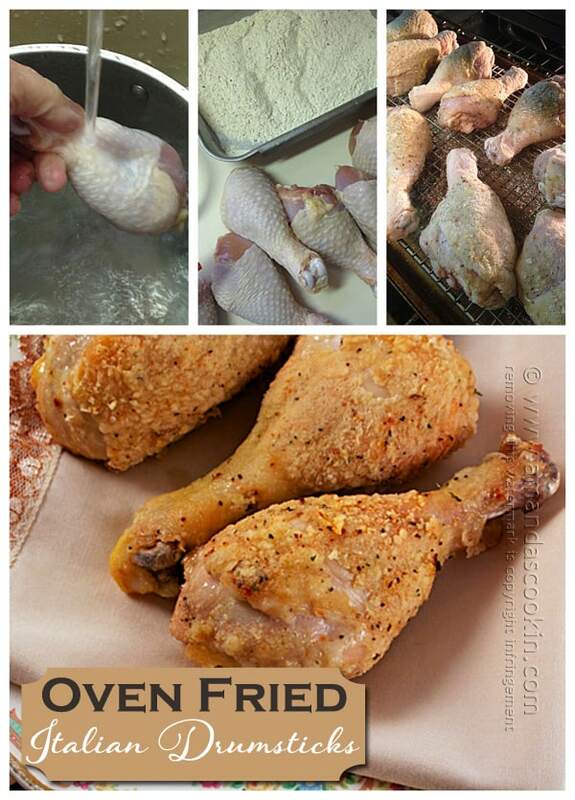 Brush each drumstick with olive oil and coat in flour mixture. Place drumsticks, on wire rack so that they are evenly spaced and not touching each other. Bake in preheated oven for 30 minutes. Turn all drumsticks over and bake another 30 minutes. Juices should run clear. If you prefer not to use the packaged Italian dressing mix, there’s a homemade version over at All Recipes here. Hope you try this, please let me know if you enjoy it! 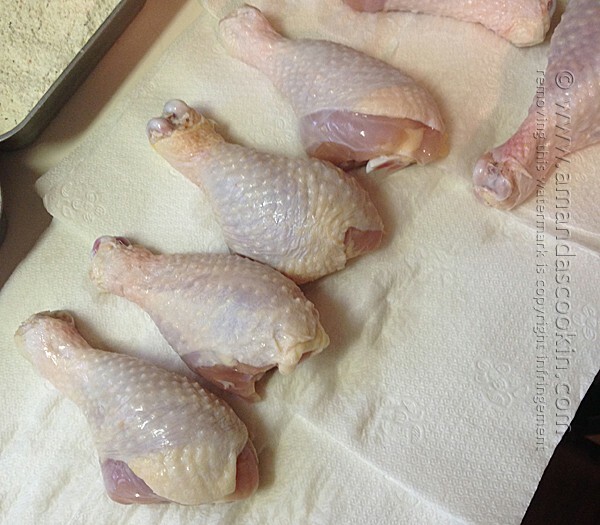 Remove drumsticks from brine and rinse then dry with paper towels. 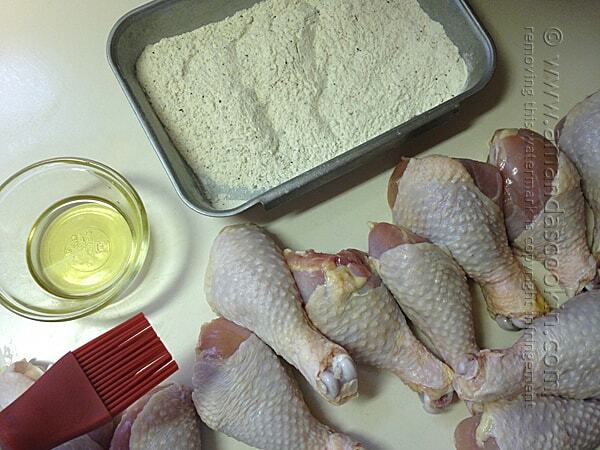 Brush each drumstick with olive oil and coat in flour mixture. Place drumsticks, on wire rack so that they are evenly spaced and not touching each other. Delicious!! One of the easiest recipes ever. I will use this one often. Thanks Chuck, so glad you liked it!